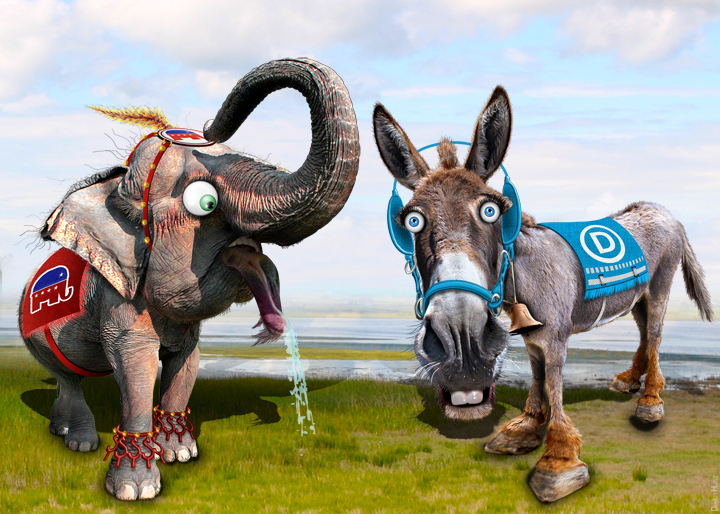 Image credit: Democratic Donkey & Republican Elephant by DonkeyHotey. Creative commons. Some rights reserved.